I woke up this morning feeling overwhelmed and dreary. It’s a feeling I’ve had before a few times; it’s my “mom of almost adults” weakness. Maybe it’s those hormones acting up that made my body be ready to carry these babies of ours; the same hormones that allows me to create breastmilk to feed them; the same hormones that crashed inside me on the second day of each of their lives that left me laughing and crying simultaneously while my body pushed to return to “normal”. But let’s be real mamas– there is no return to the old normal–gravity seems stronger after babies; the left and right poles of the planetary magnets widen the hips for good… And now let’s talk about the new phase we forty-somethings get to experience called “pre-menopause”. This new phase is what I woke up feeling this morning; the heaviness of my slowly crumbling uterus paralleling the eminent change of my role as mommy in my big kids lives. I immediately had a reaction I’ve had many times in my motherhood – GUILT. I had awoken feeling sorry for myself, dragged my transparent sorrow into my son’s joyful space and caused him to have a reaction of rescuing his weak mama. But even as I was having this waterfall of emotions I knew the weight I was adding to my shoulders was unrealistic and silly, which made me even more irritated at myself. By that point, I was basically bathing in my own misery. I swallowed the lump in my throat, quieted the voice that was on repeat saying “your babies don’t need you so what’s your maternal purpose” and nodded at my man-child, who was excitedly fidgeting at the door, Jeep keys in hand, happy to have any reason to get that baby on the road. 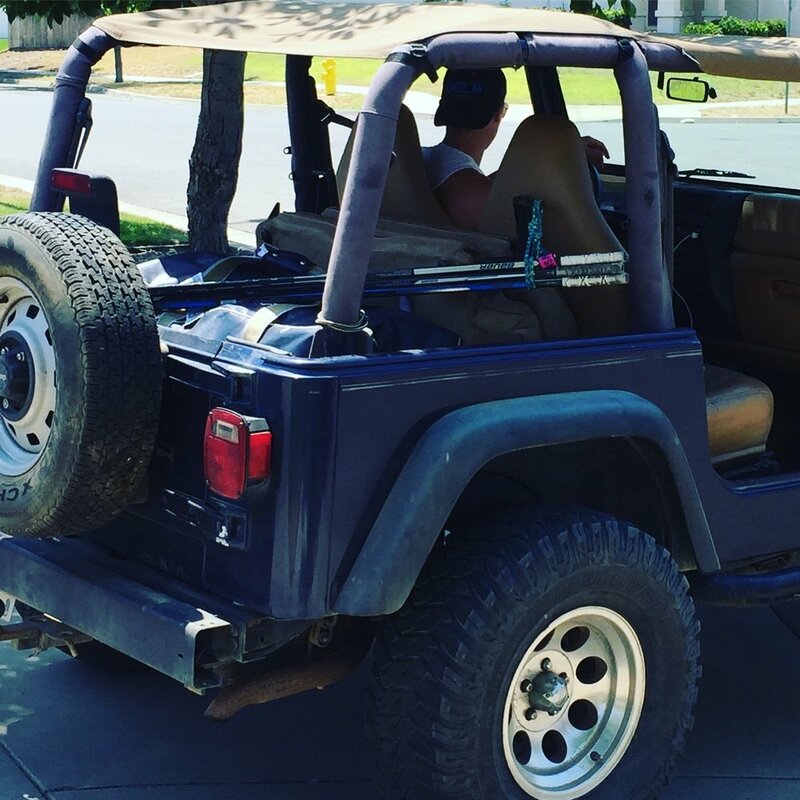 He pulled the Jeep out of the garage, took the top off and ran back inside to grab me a baseball cap, a blanket. ”It gets a little windy where we’re going”. He smiled, his eyes twinkly. ”Where we going?” I asked. “You’ll see”, he said. This boy is the spirit of his daddy and Papa. They’re givers. I shed a layer of sadness. My son is a thrill seeker, so anytime he can cause me to clutch my chest in anquish and fear, he goes for it. He screeched out of the driveway to freak me out (it worked) and immediately slowed to legal speed. He may be a little thrill seeker, but he believes in the value of rules and laws. I shed another layer of sadness. My son took the back roads through rice fields and peach orchards; roads we’ve driven millions of times before, but today they looked different to me. I was trying to see them through the joy of this person next to me, and it changed my view. I looked secretly at the profile of his face while he was singing along to the radio. Who would have thought this hockey-playing, gym shorts-wearing, bumping speaker-loving kid would be a fan of country love songs? And he was singing them out into the breeze at the top of his lungs. Though he has whiskers and a few pimples, he’s the same person whose profile I stared at as he lay in his crib dreaming. He is a joyful, super high energy, fun, clever, smart, person. Yes, I said person, not my boy who isn’t a boy for much longer, and not my man who grew up so quickly, but an amazing, valuable, extraordinary person. I shed all my sadness. 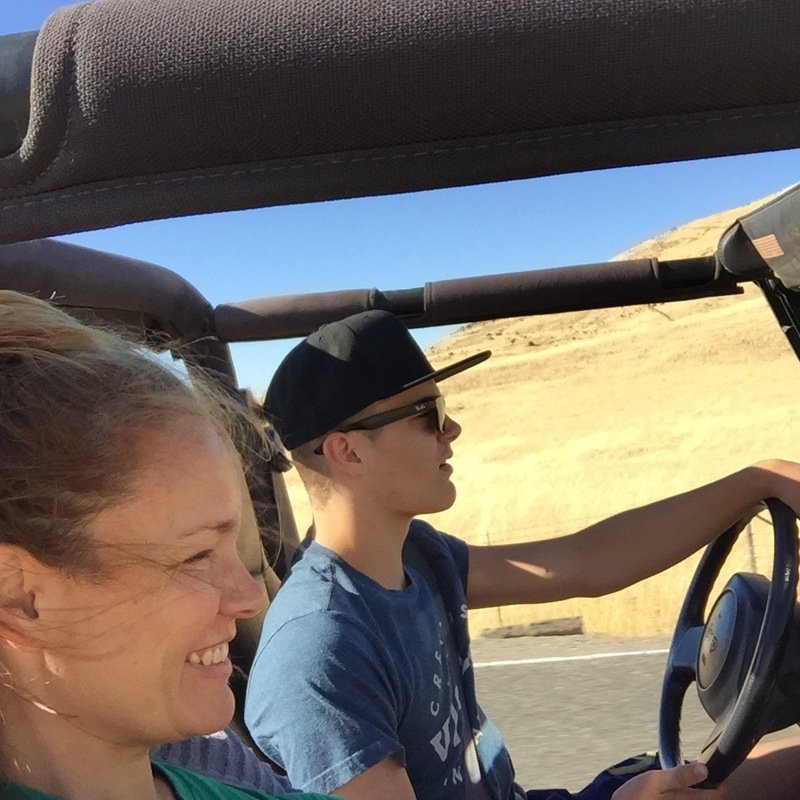 I wrapped my blanket around me, pulled my hat tight so it wouldn’t fly off, I kicked my shoes off, propped my foot up on the open door jam, and let my son take me on the best morning drive I could ever have hoped for. I realized that by swimming in my guilt and sadness, I was robbing my son of his nature of joy and the freedom he feels when cruising through the hills. It just feels good to him. And it makes him feel really good to make others feel good. So for him and for me, I embraced the time with him for just what it was; pure joy. I closed my eyes and felt the breeze on my face. I chose to enjoy the ride.